High safety antistatic boots from PVC and nitrile with steel toe cap. 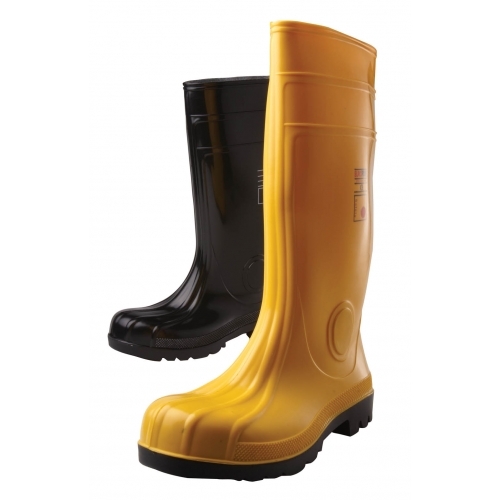 Designed to protect against water, dirt and perforation. Sole resistant to acids, oils, fuels and fat. Shoes meet all the requirements for safety footwear for construction sites, agriculture and manufacturing processes. Height approx. 38 cm, weight approx. 2.5 kg, very flexible even at low temperatures, reflex point on the heel.